Heat flows from an area of high temperature to an area of lower temperature – or from a warmer to a cooler area. This ‘heat transfer’ takes place from those living spaces in your home to adjacent unheated attics, garages, and basement as well as those directly adjacent to the outdoors. “How much insulation is necessary? Different types of insulation are best suited for a particular application. For attic retrofits, we’d recommend blown (loose fill) over Batts (rolled) insulation. If you are building a new home or addition, we’d recommend our High Tec home system for best results. Fiberglass is made mostly of inorganic materials and, therefore, is naturally non-combustable; it is installed dry and does not absorb or retain moisture; and it has nearly no settling; which means the R-value is stable over time. 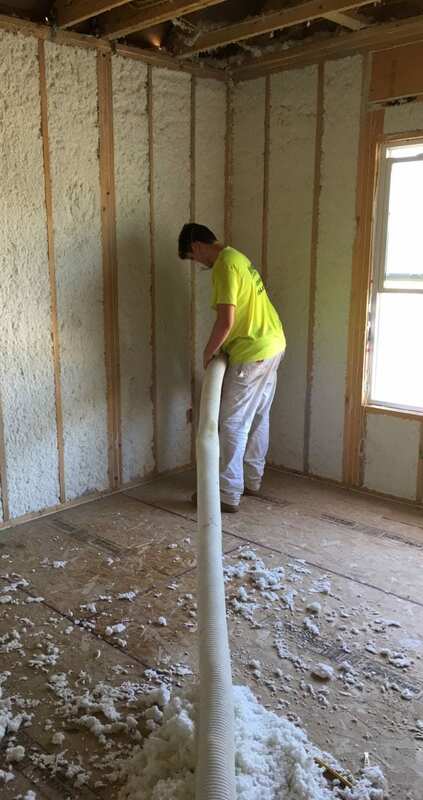 It takes three times more cellulose material by weight fiberglass to insulate a typical home. Cellulose, on the other hand, is made up of newspaper, with a fire retardant added. It is often installed damp and needs to fully dry after installation; and it can settle over time.